Alter The Press! 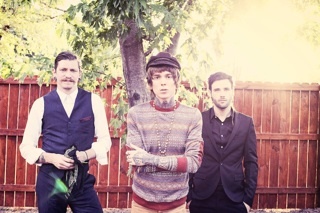 : Never Shout Never Announce New Album 'Black Cat' and Stream "Hey! We OK"
Never Shout Never Announce New Album 'Black Cat' and Stream "Hey! We OK"
Never Shout Never have announced their new album is titled Black Cat and is set to be released on August 7th. You can stream the lead single from the band's seventh studio full-length, titled "Hey! We OK," below. A variety of pre-order bundles can be found here.